This entry was posted in Uncategorized on November 23, 2016 by Deb. 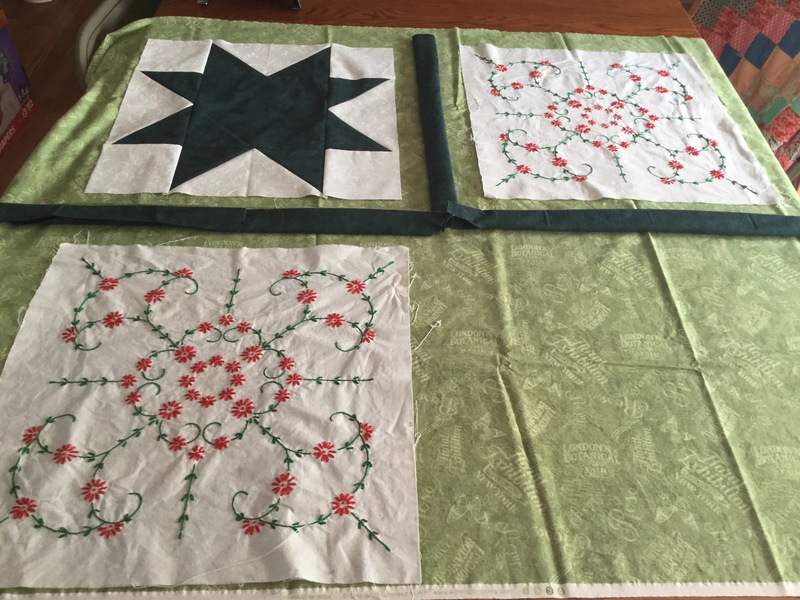 I was so excited when I received the box of fabric to start working on the embroidered blocks. I had a big surprise coming my way though…. 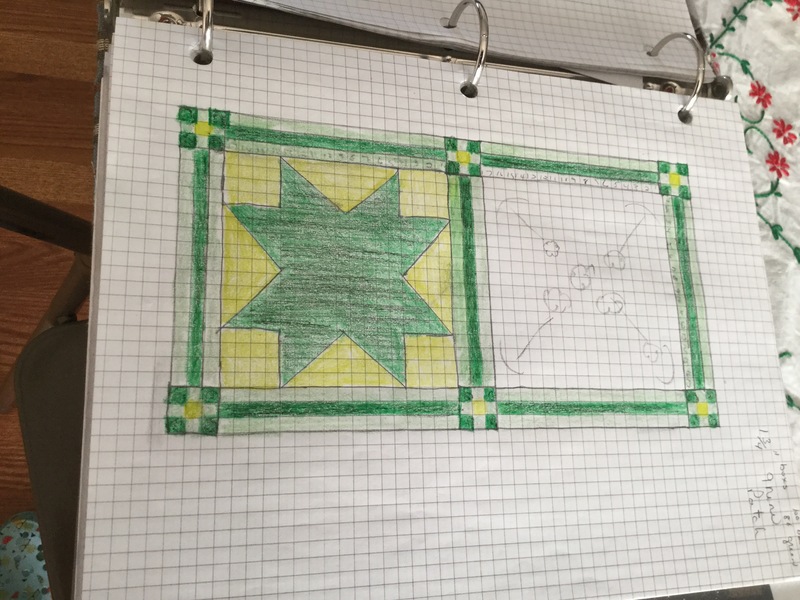 after washing the fabric ,I started cutting and measuring only to realize I had calculated the yardage wrong on the cream and green…. 🤔 I was to have more green then cream. The green was for sashing around the blocks. I didn’t have time to reorder more fabric for the top needs to be done by Dec.1st. So beings I had more cream then green ,I decided to change the colors around. I liked it .. so I started to cut out enough to get a good feel of how it would look. I was happy with it.. I hope Miss Pauline is too,as it isn’t as green as planned . I have about half of it put together. Look at this old machine that was found among my Moms things. My Mom sewed clothes for us youngins,she also did doll clothes for our dolls. She would make the prettiest outfits, they were usually Christmas gifts. 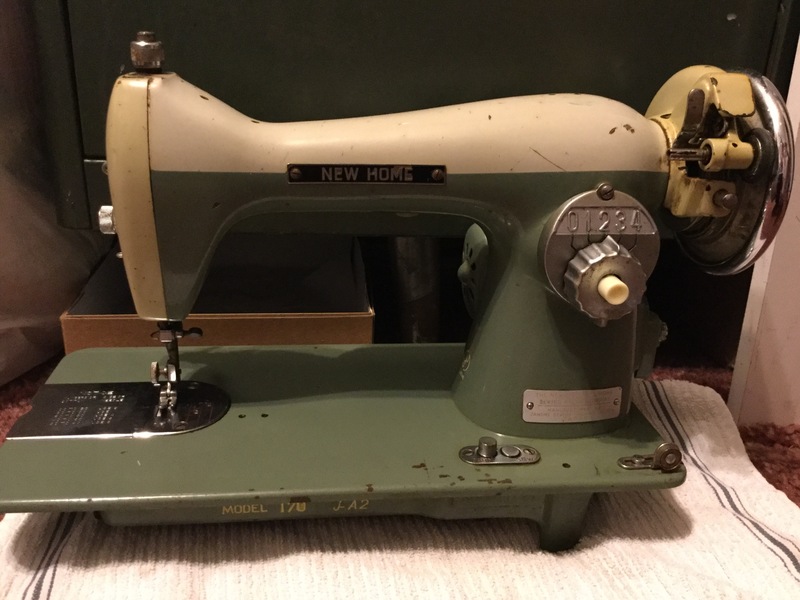 I remember falling to sleep to the sound of this machine sewing away. So you can imagine my delight ,when coming across this old treasure . It needs some cleaning up, a new belt and I’m sure I’ll have to work with tension problems ,even if I can’t get it to work right , it will be be a lovely display machine that will bring to mind many good memories. Besides that’s the machine I learned to sew on. It is a 1950’s New Home machine by Janome.. made in Japan. “North Ga. fires engulf 40,000 acres as battle, evacuations continue” . While where we are ,we have had only some slightly smoky days. 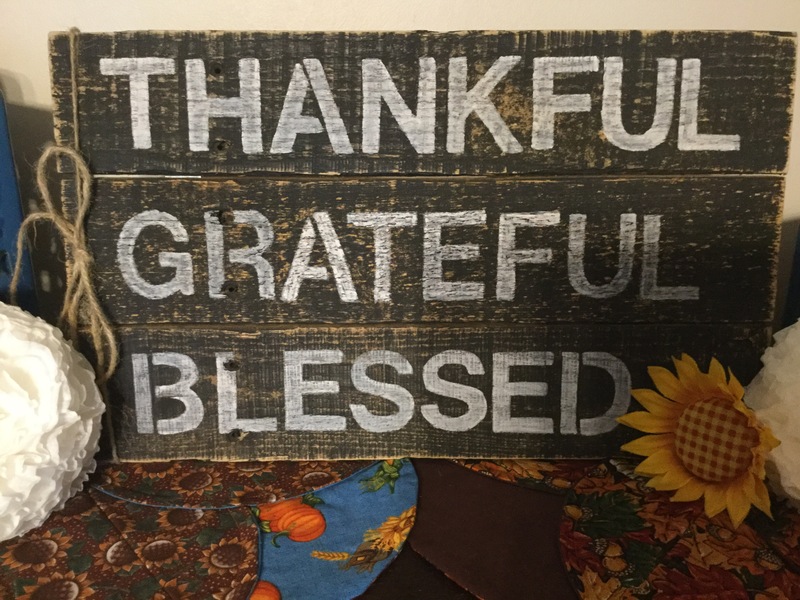 This thanksgiving,firefighters should be at the top of the list of the ” thankful for list”. 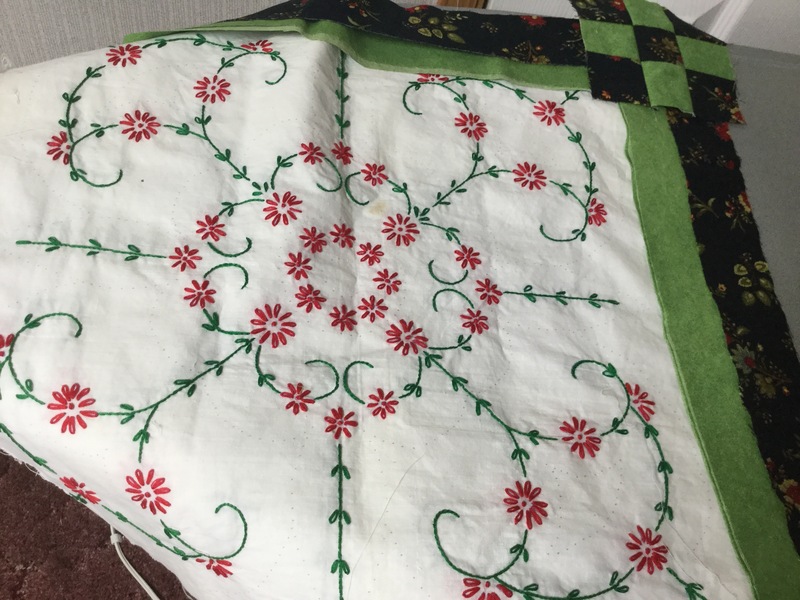 This entry was posted in sewing, Uncategorized, vintage and tagged embroidery blocks, vintage sewing machine on November 21, 2016 by Deb. 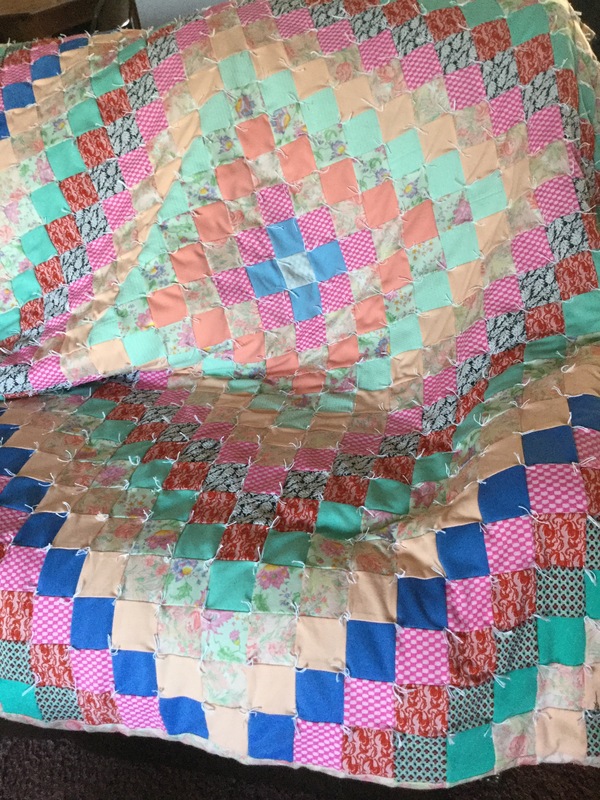 My daughter Lynn had given me an old quilt to repair that was her hubby’s ,given to him as a child. 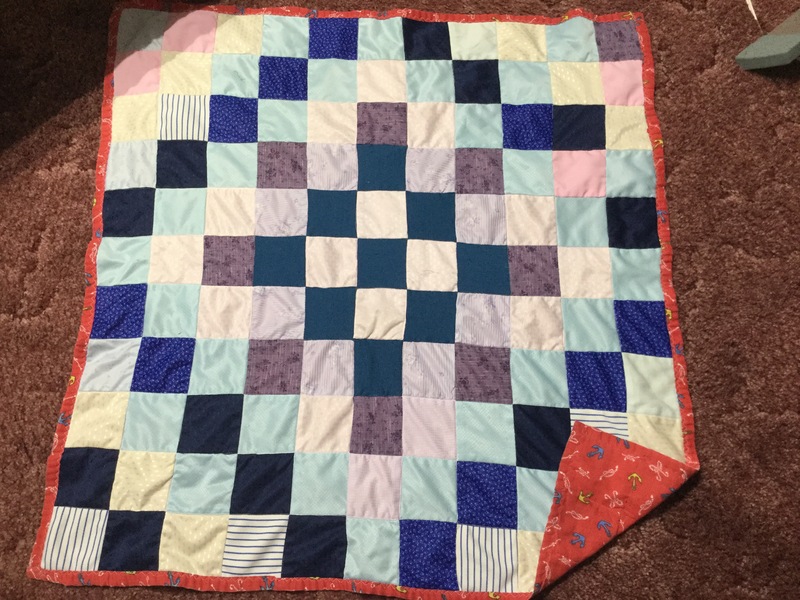 It was a lovely double knit tied quilt made by his grandma. 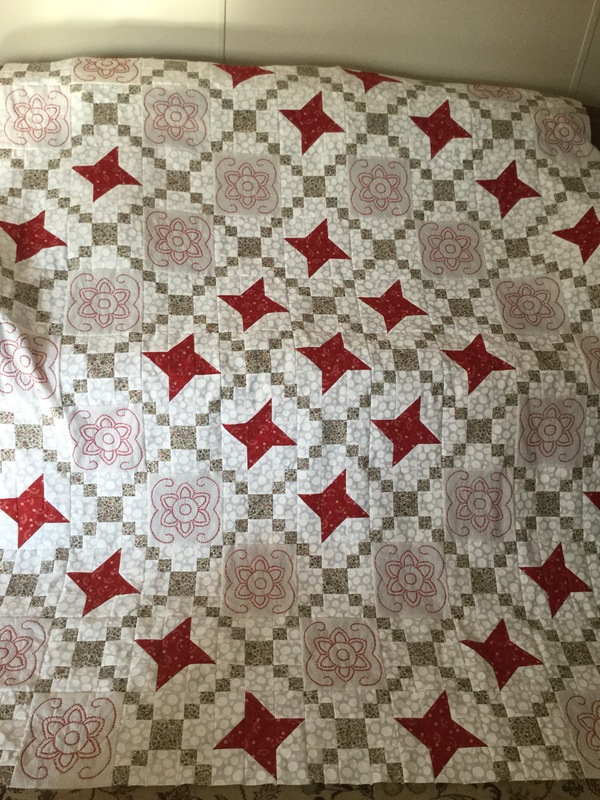 Years ago Lucas’parents bought a farm , in the old barn was this double knit fabric that granny salvaged. The repairs were to redo some seams ,also the ties were either missing or in poor shape. 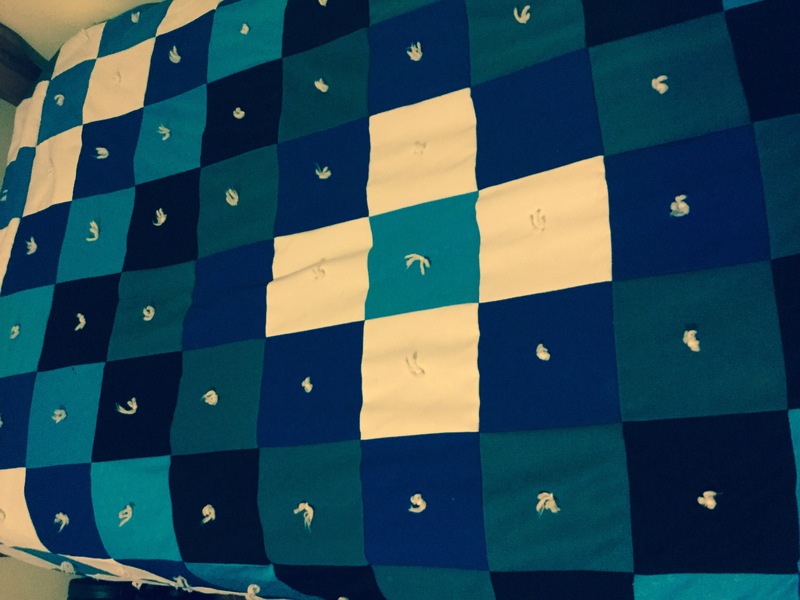 The knit fabric is in wonderful shape,one would never guess that it has been used hard. When I finished the repairs it looks almost new! I would guess these knits to be 50 some years old. 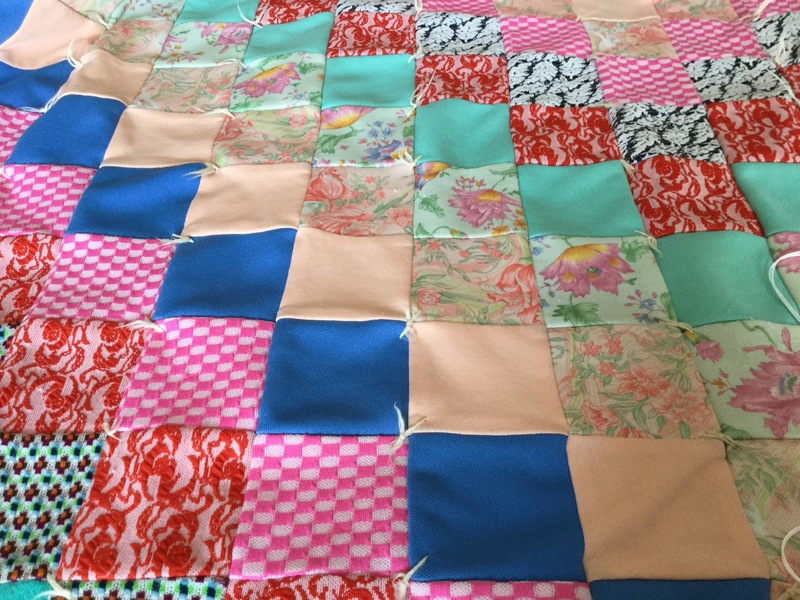 I know that knits are not poplar in the quilt world. 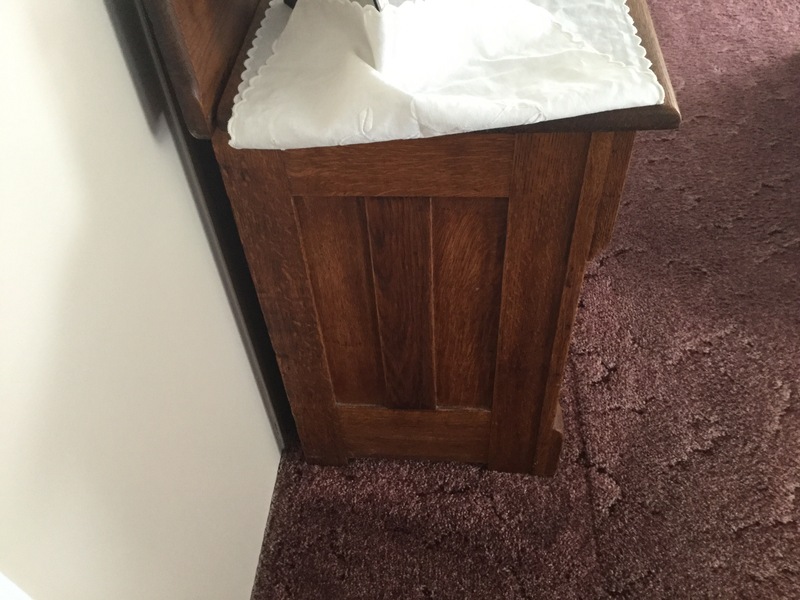 I have made a few simply because they are tough and hold up to boy abuse…. one I made has held up for twenty one years,and still going strong. these I made from old shirts ,dresses, skirts ,and fabric scraps that I would find..In our early years of marriage money was a little short, which taught me to be creative. 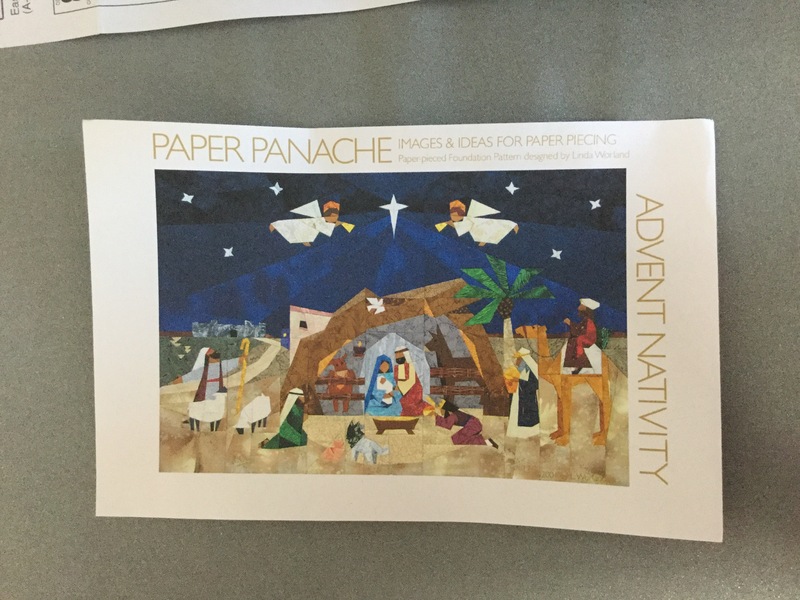 There was no rotary cutters or mats then,just cardboard ,pen and scissors . I have it ripped out already for me to sew in right tomorrow. 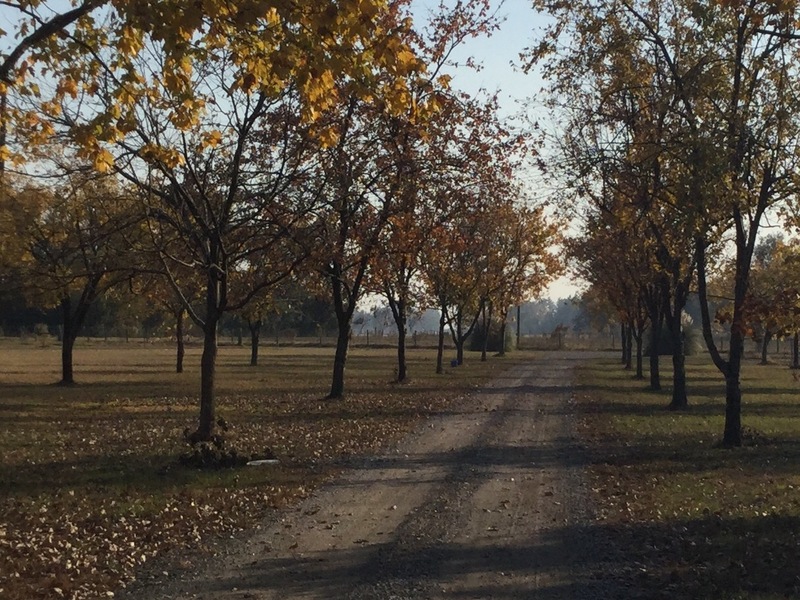 Lynn sent me this picture last week,she took it standing in their field facing the neighbors. Isn’t it gorgeous!! 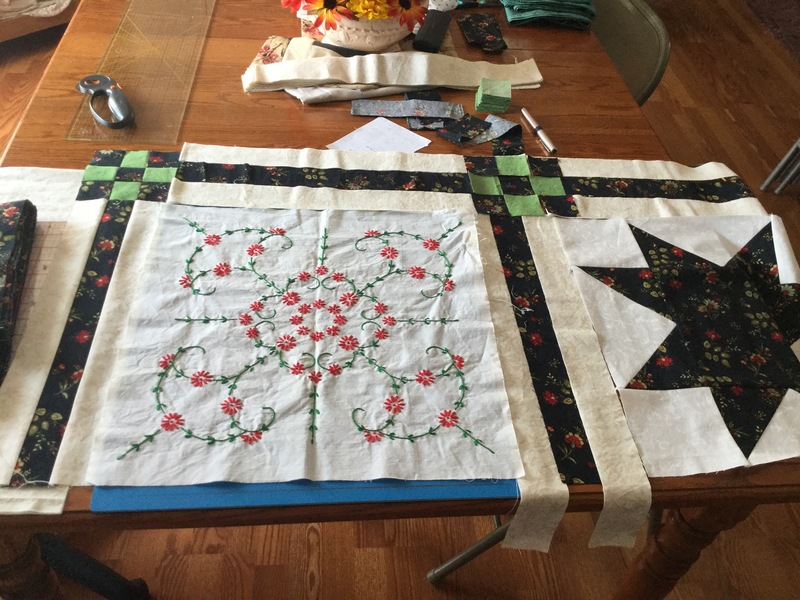 This entry was posted in quilt, sewing, Uncategorized, vintage and tagged double knit, embroidery blocks, rainbow, vintage on November 16, 2016 by Deb. 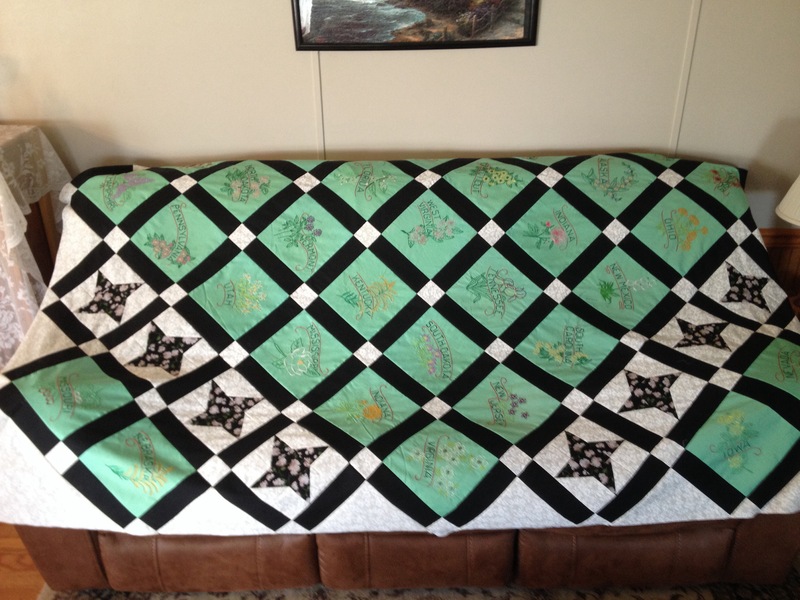 A few years back I did a quilt top for a friend of Mom’s . 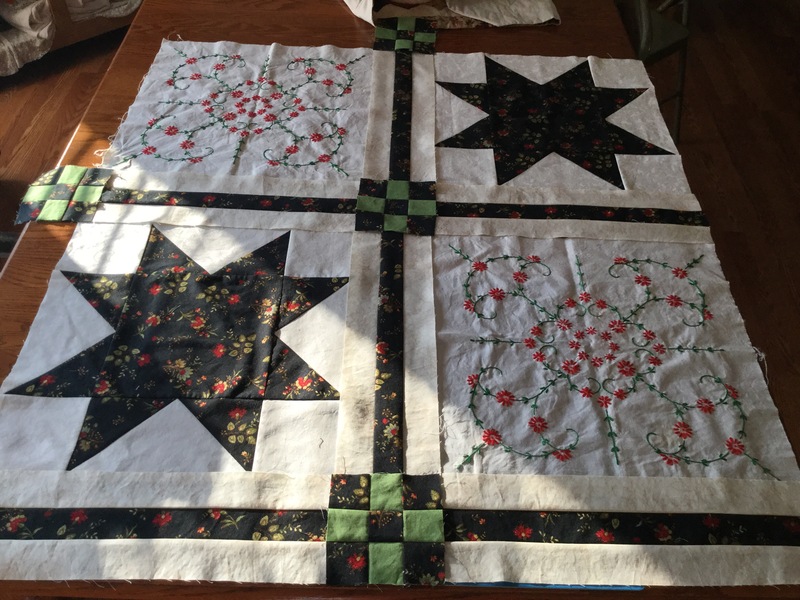 She had embroidered blocks that she was going to threw away for she didn’t know what to do with them,when Mom told her to send them to me to see what I could come up with. Here is the top I did for Miss Pauline. I chose a cream to go around the blocks for they are a little stained with old spots,with a off white tone caused by aging. 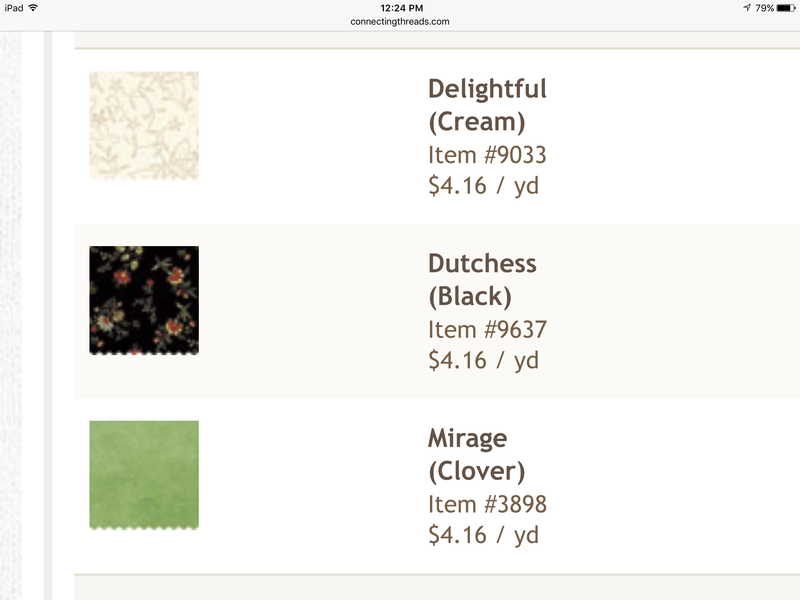 I think the cream will blend the aging spots with the new fabric. At least I hoping.😊 I cut out a sample block to get all measurements right ,and to see if it will look alright. I like it.. do you? 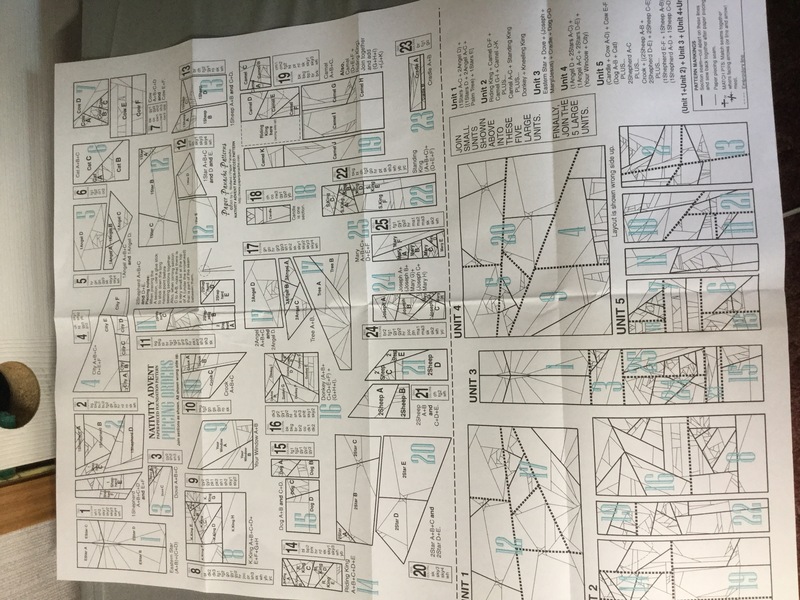 I haven’t put together the nine patch corners yet. 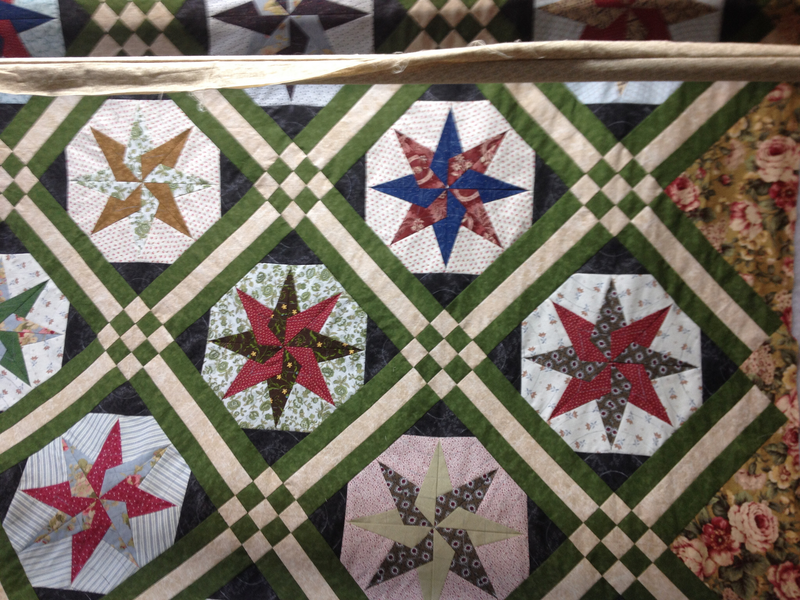 To give you more of an idea of the sashing between blocks I will use the same pattern as on this quilt . 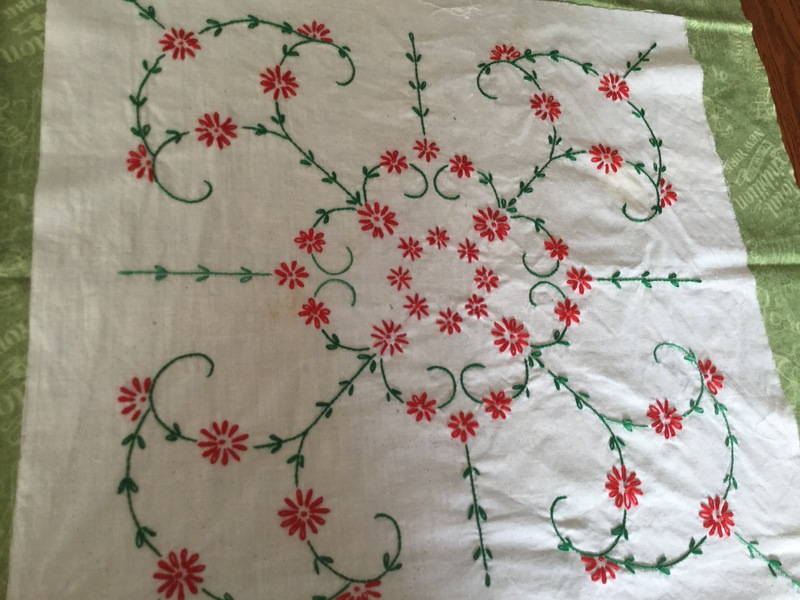 While I’m waiting on the fabric that I ordered , back to finishing the other embroidered block top. 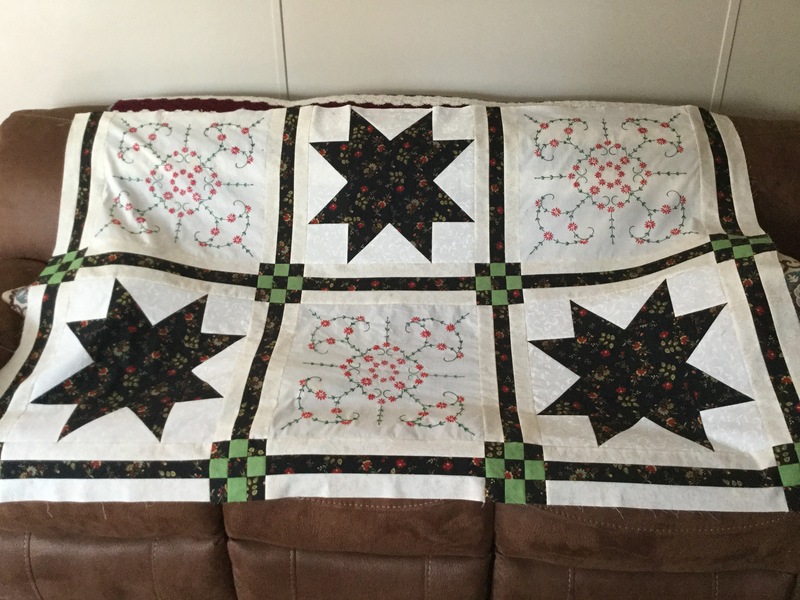 This entry was posted in quilt, Uncategorized, vintage and tagged blocks, embroidery, wash stand on November 8, 2016 by Deb. Life around this household has been far from normal lately. My mom’s health has been failing her for sometime now,and it is to the point where she can no longer care for herself. We siblings got together to get mom’s house ready to rent out. We hauled,sorted,priced and threw out stuff to get ready for a yard sale. The yard sale day was a lovely day,with a nice amount of sales. 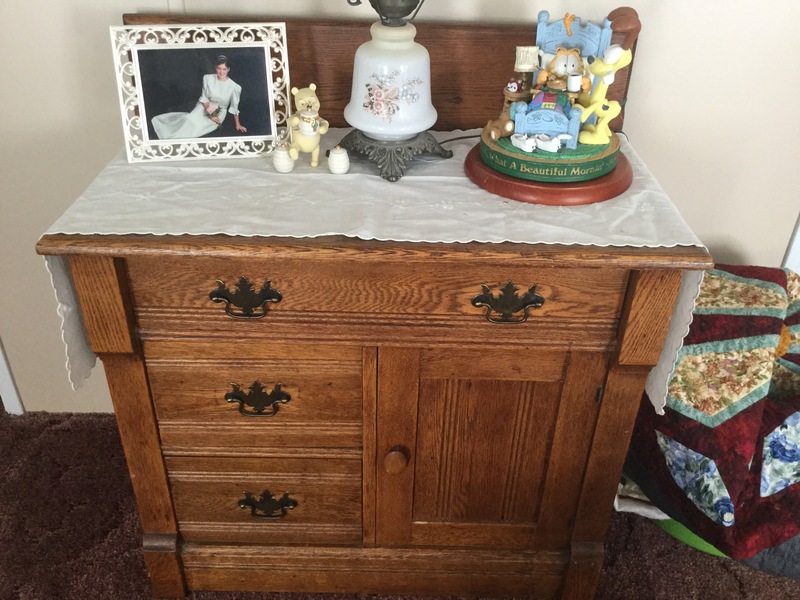 Mom had too many things to get rid of in one day,…so once again we boxed ,and hauled,laughed and aggravated each other …and…Things are now ready for a auction. 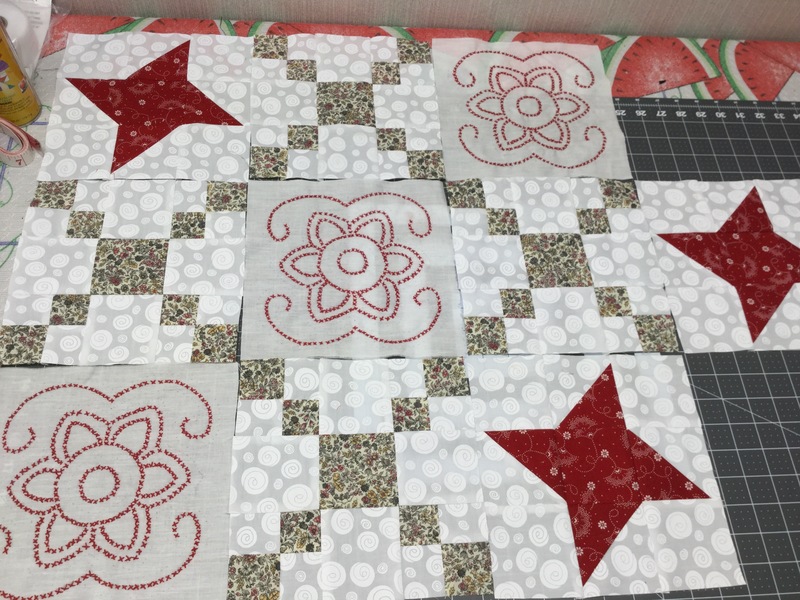 I have a pile of boxes to go though that I brought home..and a lovely antique wash stand to do something with, also piles of house work….6 more blocks to go on the red embroidery block quilt ,then I will start on this advent Christmas pattern. 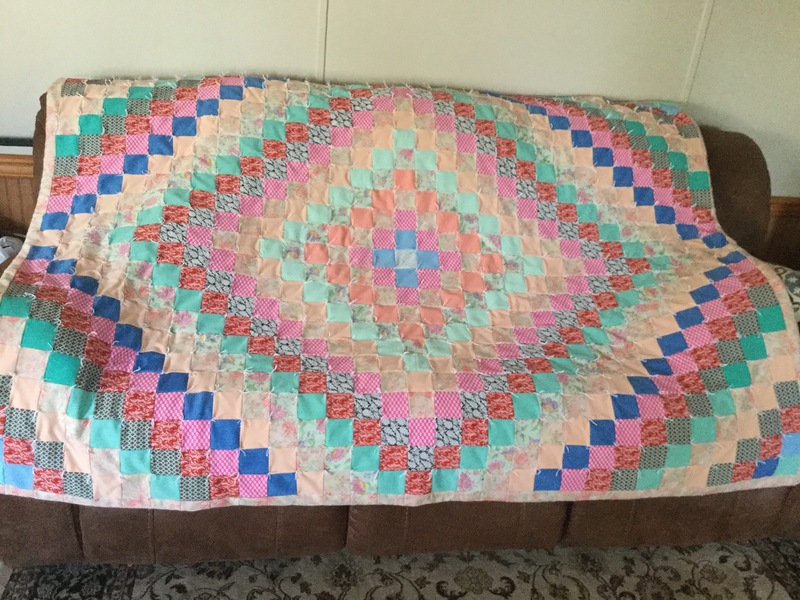 I know it is to be done in Dec. but I want to have it on display for Christmas. It is marked for each day,I think I will do a number a day. 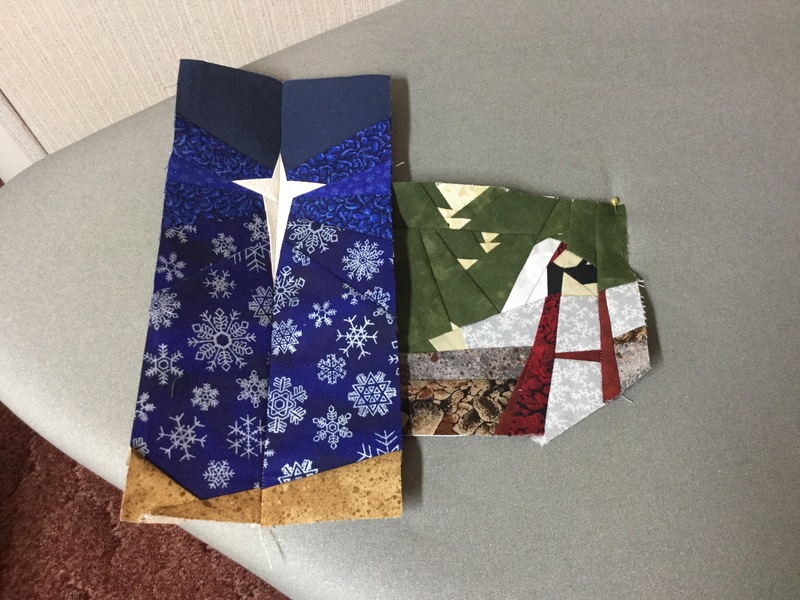 This entry was posted in Paper piecing, sewing, Uncategorized on November 2, 2016 by Deb.